She is experienced in many settings to include private practice, schools, social services, foster care agencies, and orphanages. Synergetic Play Therapy’s name was influenced by Lisa’s love for the brain and understanding what happens in the nervous system. The collaboration between the child and the therapist, and on a deeper level between the mind, breath, body is an important support in the therapeutic process. Through this realization, she was drawn to the word “synergy” since it is the idea that when 2 parts come together, the effect is so much greater than what they are individually. Collaboration within the therapist, child and between them both is cultivated. Through Lisa’s work, before she created Synergetic Play Therapy, she felt like something was missing. She had a personal experience with her daughter that gave her an intuitive felt sense of the importance of bringing in the nervous system getting into the somatics. Becoming an external regulator can take it to a deeper level of healing. Accessing the brainstem allows for work involving the level of attunement such as what’s present between a caregiver and an infant. Lisa’s students say that it feels like a way of being rather than a model. Her students report transforming through the process and it spills over into their other relationships. 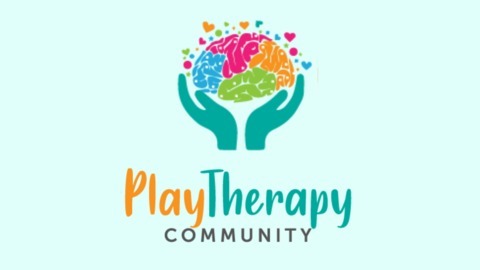 Synergetic Play Therapy is not a list of fun techniques or activities to do with the child, but rather it is a “way of being”. Lisa urges her students to study as many philosophies and models of play therapy as possible to maximize their abilities. Implicit memories bring a feeling and a felt sense that was placed in the early years. Often before the age 3, the implicit memories provide the structures in the brain. When Lisa’s daughter was born, she was emotionally dysregulated. While Lisa was pregnant with her, they both experienced a car crash. When she was born, Lisa was on a journey to help her rewire her nervous system. She had her first play therapy experience at 9 months old where she played out shock of what she felt when the car accident happened. The exchange happening between the therapist and the child is such a vital part of therapy. 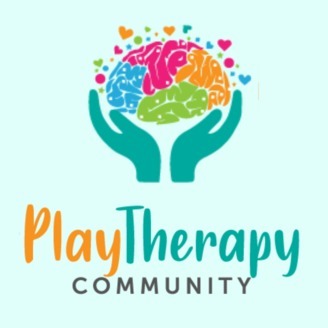 Synergetic play therapy teaches the therapist what to do with their personal experience of what the child is feeling and experiencing through the play. When parents are dysregulated, they need to regulate before they tend to their child. The therapist does a lot of breathing, and modeling for the child. The mirror neuron system allows the child to borrow the therapist’s regulatory system. Therapist use themselves to support the child through their healing. The therapist is intentionally authentic and may rock, say things, and do things that the child needs right in the moment. Lisa tells a story of a child that had many generalized fears that learned regulatory techniques such as holding her heart and stomach while she did that during his expressions of the fearful scenerios. In session 3, he reported that he knew what to do when he got scared. He was able to borrow her nervous system, watch how she handled the situations, and internalized a way of taking care of himself during these types of situations. Through that process, his nervous system got rewired organically and experientially. This process also helps keep the therapist well during the process. Synergetic Play Therapy also offers a certification option as well. Lisa has a new book coming out in Spring of 2018, “Aggression in Play Therapy: A Neurobiological Approach for Integrating Intensity” from Norton Publishers.